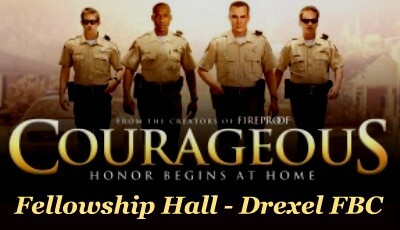 The movie "Courageous" will be shown in the Drexel First Baptist Church fellowship hall starting at 7 PM. Come and enjoy FREE Popcorn, hot dogs & drinks. Everyone Welcome.